The Colorado Springs and Pikes Peak Area MLS (PPMLS) provides information on homes and properties for sale across multiple cities, areas, and neighborhoods. The city of Colorado Springs is the largest city covered by our MLS, but you can also search the cities of Monument, Woodland Park, Pueblo, Divide, Castle Rock, Larkspur, and Manitou Springs for homes and properties for sale. 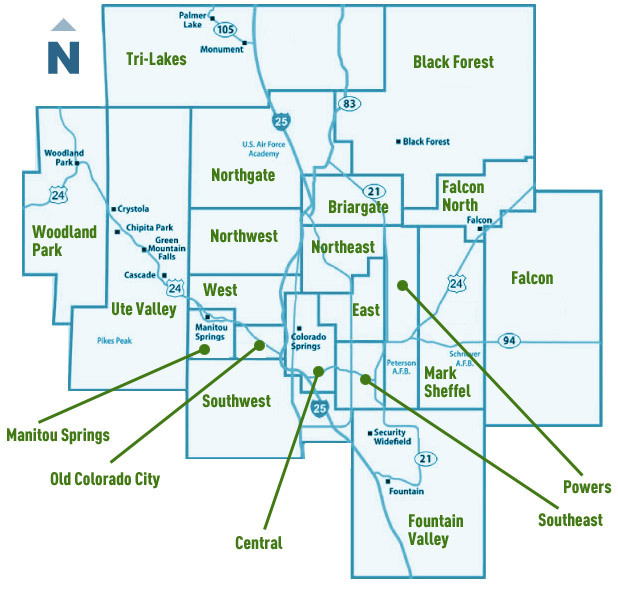 Popular search areas within the city of Colorado Springs include Black Forest, Briargate, Broadmoor, Central/Downtown, Fort Carson Area, Fountain Valley and Southeast, Southwest, and West Colorado Springs. 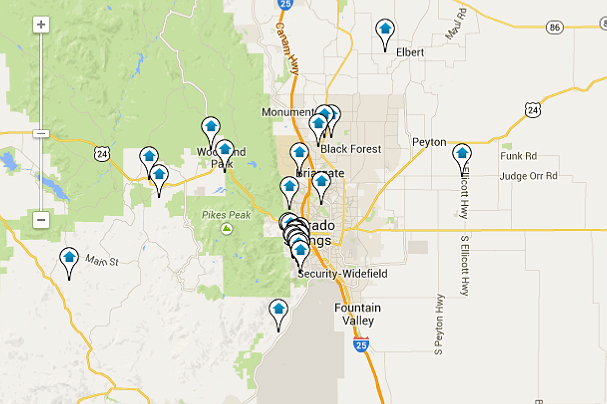 Within each Colorado Springs area, there are multiple neighborhoods that you can search. We’ve included a list of popular areas and neighborhoods and an area map below, and we can help you create a search specifically for any neighborhood you are interested in. Let us know how we can help.